Philosophers are often depicted as calculated and cerebral, lost in thought, meditating on the deeper meaning of life with head resting on hand. And while this depiction holds true for some of philosophy’s greatest minds, those same minds weren't always focused on such noble pursuits. 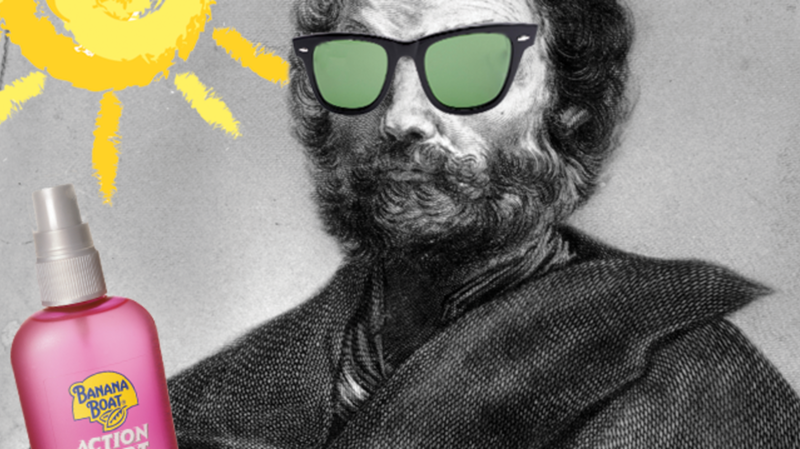 Here are the ways seven of history's greatest philosophers would let loose. Diogenes, the Cynic who lived shortly after Socrates, vouched for a life of sleeping in the gutters of Athens, lapping up water from streams, and making a public spectacle of masturbating in the streets. When he wasn’t convincing the locals he was insane, he could be found lounging in the sun. In typical Cartesian style, the French mathematician and so-called "Father of Modern Philosophy" could not be bothered with any simple hobby. Rather, he had to exert the full scope of his scientific prowess into everything he did. In his spare time while he lived in Paris, Descartes began inventing optical devices to help him better understand how light can be refracted. Eventually, he came up with a lens design called the Cartesian Oval. Known primarily for composing his wide body of groundbreaking work on metaphysics, ethics, aesthetics, and epistemology while lecturing at the University of Konigsberg in Prussia, Kant was also known to start his morning with a smoke from his pipe. Supposedly, a nice fat bowl of tobacco and one cup of weak tea were just what the philosopher needed to meditate in the mornings. The more he became absorbed in thought, however, the colder his tea became, so he frequently refilled it for warming purposes (but according to his long-time secretary, it still only counted as "one cup.") Similarly, as he grew older and his self-imposed limit of one pipe-full of tobacco per day didn't quite suffice, Kant simply chose larger bowls from which to smoke. While staying in the Nietzsche-Haus in Sils-Maria, Switzerland, during the summers, Nietzsche would take a break from his nihilistic writings on such matters as the “Übermensch” and the “Will to Power” to take a daily two-hour walk in the nearby forests. One can understand why such an otherwise introverted, usually bedridden man would be inclined to take such a hike: Close by were the breathtaking Lake Silvaplana and Lake Sils, surrounded by the snowy Swiss Alps. Respected as the “Modern Socrates” and primary logician of the 21st century, Ludwig Wittgenstein was born into one of the wealthiest families in Europe. This allowed for a flourishing cultivation of music within the Wittgenstein family. Wittgenstein’s boyhood home in Vienna played host to such regular musical geniuses as Gustav Mahler and Johannes Brahms, who performed concerts for the family and in turn inspired the young philosopher. Ludwig took piano lessons at a very early age, but he soon became frustrated and gave up the instrument. It wasn't until he enrolled in Vienna's Teacher's College (which required a proficiency in a musical instrument) that he taught himself to play the clarinet. Wittgenstein was also an accomplished whistler—an acquaintance remembered Ludwig whistling the viola line in the third movement of a Beethoven quintet to perfection. The Nobel Prize-winning French novelist and absurdist thinker was an avid lover of all things football (the European variety, of course). At the University of Algiers, Camus played goalkeeper until he suffered a serious bout of tuberculosis that spelled the end of his football career. However, he maintained his love for the game for the remainder of his life, going so far as to claim, "What I know most surely about morality and the duty of man I owe to sport and learned it in the RUA [Racing Universitaire Algerios junior football team]."